I stayed at Al's Resort in the first week of June 2013 as part of a Koh Samui hotels inspection trip. My opinion of the resort is a bit mixed and whether it's suitable for you will depend on what part of Koh Samui you want to stay in. Basically it's all about location, location, location. For many people, the best thing about Al's Resort will be that it's in the centre of Chaweng, right on the beach and close to the best bars and restaurants. If you want to be near to the action then this resort will suit you. It's a short stumble along the beach to get back to your room if you've spent all night at the Ark bar. It's also conveniently close to Top's supermarket, very handy for stocking up on bits and pieces. The resort itself is only ok, nothing fancy. 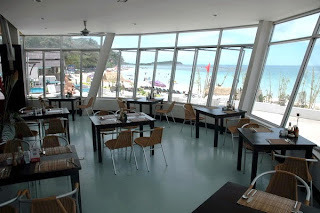 I can imagine that it was nice when it was newly built but like a lot of resorts that I've seen in this Chaweng beach section of Samui it looks slightly dated, particularly the old fitted furniture and the bathrooms. I stayed in one of the older Deluxe Garden rooms and in fairness I was there just before high season started. I did see several men busy with paint brushes giving the place a spruce up. For the location and the price it's hard to complain about Al's Resort though. It's what you get in this part of Chaweng beach for around US$100 per night. If you want to be slap bang on Koh Samui's most popular beach and only pay 3,000-4,000 baht per night for a room you have to compromise a bit. (If you are happy to be a little out from the centre of Chaweng we can recommend other resorts that offer you more for your baht). The resort's beach side swimming pool looked ok although I never saw anyone in it, the sea was flat and calm and was much more inviting to me. The resort restaurant is an ugly concrete and glass building designed to look like a boat's hull, they should really lose it altogether and just build a nice breezy beach restaurant out of bamboo. Breakfast was the usual buffet style, neither good nor bad but plenty of it. WIFI was available at the resort but there was an extra charge. I always think that's a bit mean but there are free internet terminals for guest use in reception. The hotel staff seemed friendly and they gave me a free lift to my next resort when I checked out. We inspect the resorts that we offer on a regular basis to verify that they are up to standard. So to summarize, I'm happy to keep Al's Resort on our list of Easy Day Selected Resorts because of the location which will be ideal for some people. 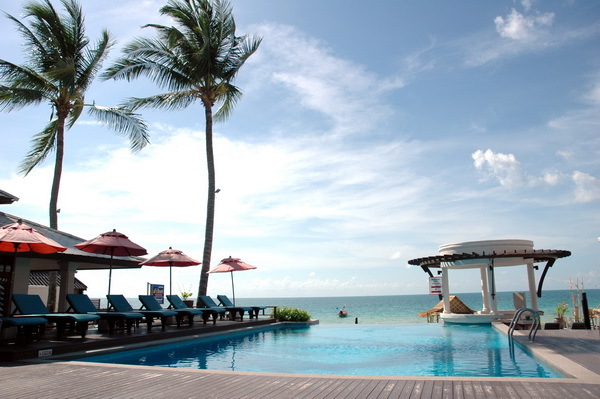 If you want to be in the heart of Chaweng then for the money Al's Resort is a decent choice. If you prefer to stay a bit further out of Chaweng then we can recommend other resorts that offer better rooms at a similar price.